A San Diego startup today launched a digital portal designed to let users integrate, manage, access their health data within a single platform. Seqster says its platform consolidates in a single site electronic health record (EHR), wearable, ancestry, and genomics data contributed and owned by individual consumers, and largely stored and managed separately until now. 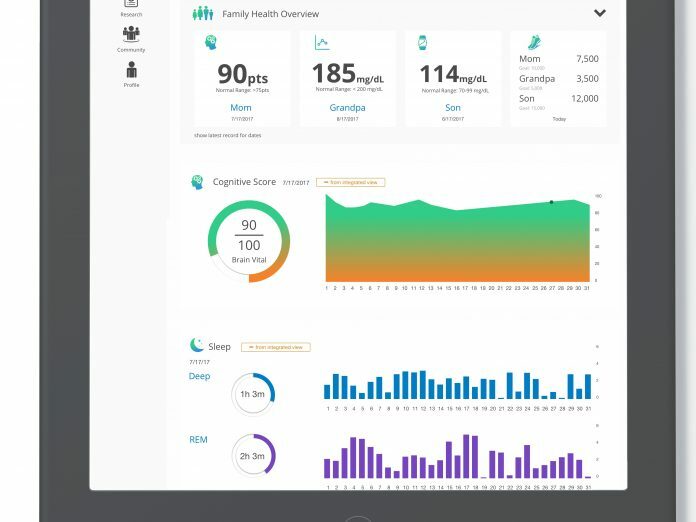 Seqster’s platform standardizes in a single database healthcare data collected using Epic, Allscripts, and Cerner EHRs—giving the company access to 65% of the U.S. population’s electronic health records—as well as data from direct-to-consumer testing companies, and from several top wearable tech developers, including Garmin, Apple, Nokia. The platform incorporates data from more than 1,000 healthcare providers consisting of more than 2,000 hospitals and clinics nationwide. Healthcare providers include multi-hospital systems—including such big names as Cleveland Clinic, Kaiser, Mayo Clinic, Sutter Health, University of Calfornia, and San Francisco–as well as specialized providers. The platform is designed to create multi-generational health records for families through HealthTrust, a legal framework allowing users to store and transmit medical, DNA, and fitness data to family members or others who are deemed trusted recipients. Seqster users are required to grant consent for their data to be accessed by research institutions, foundations, and biopharma companies. In addition to launching the platform, Seqster has begun partnering with the Boston University Ryan Center focused on enrolling participants in a traumatic brain injury (TBI) study, as well as tracking and monitoring their personal health data. Seqster reasons that by forging partnerships across the healthcare spectrum, it can best roll out its direct-to-consumer platform later this year. The company envisions early applications of its technology that include disease-specific community engagement, acute and chronic care navigation for individuals and family members—and as with the Boston University partnership, clinical trial enrollment support. The Boston University Ryan Center’s proof-of-concept study aims to identify potential digital biomarkers of TBI in concussed patients and potentially improve clinical diagnosis and treatment of head injury. The study will consist of acute TBI (concussed patients) and non-TBI subjects who participate in contact sports and are currently seeking medical attention at the Ryan Center for either brain injuries or injuries not related to the brain, Seqster and the Ryan Center said. Researchers from the Ryan Center will use the platform’s Seqster Research Portal, which allows academic or pharmaceutical users that conduct clinical trials to rapidly enroll participants into the study, then and aggregate all available health data directly from the source. Seqster took two years to develop, during which Arianpour’s grandmother died of Alzheimer’s disease a year ago. Seqster has raised more than $4 million in seed financing, and is now pursuing a Series A financing intended to support a broader launch of the platform for consumers. Arianpour would not disclose how much Series A capital the company plans to raise, except to say it would be significantly higher. Arianpour is one of four Seqster executives. The others are CTO and co-founder Xiang (Sean) Li,, Ph.D.; CIO and Co-Founder, Dana Hosseini; and Strategic Advisor Matt Patterson, M.D.